A group of intrepid Aussie cricketers are due to set foot in Devon ready for a second gritty Ashes series against the bustling might Broadclyst Cricket Club, who play at the Killerton Estate, just outside Exeter. The one day, 44 over series starts on Sunday 1st July at 1pm, and concludes with the second game on Saturday 7th July. Having lost the original ‘Ashes’ series in 2013, Broadclyst are out for revenge. While touring, the Daggy Greens will play Broadclyst Pins at Killerton House in a 20/20 match at 6pm on 4th July. 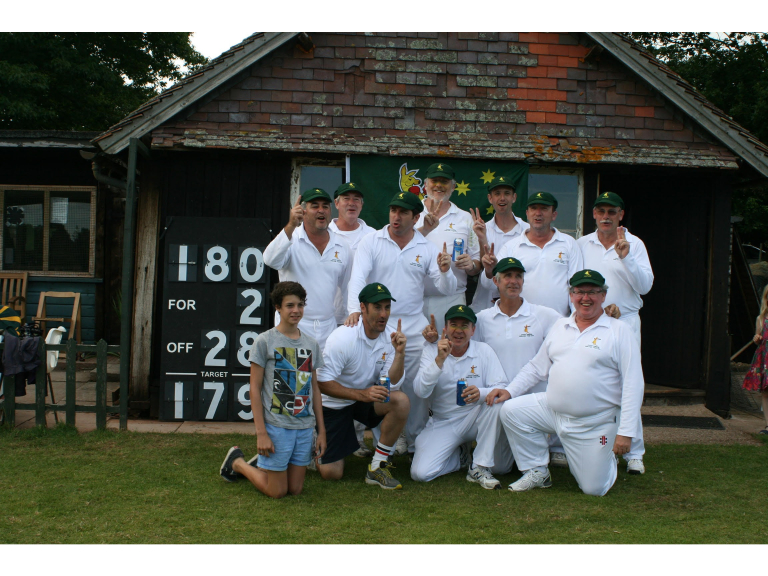 The photo shows the victorious Daggy Greens having won the 2013 ‘Daggy Ashes’ series against Broadclyst CC.